If you book more than 10 days, you will pay 10% less! Example: you book the apartment Alba (for 2 people) from 8th September to 18th Setpember; the price is € 750,00. If you book more than 10 days, for example from 8th September to 19th September (11 days), the price will be € 742,00 (10% off) instead of € 825,00. Offer non available on July and August. 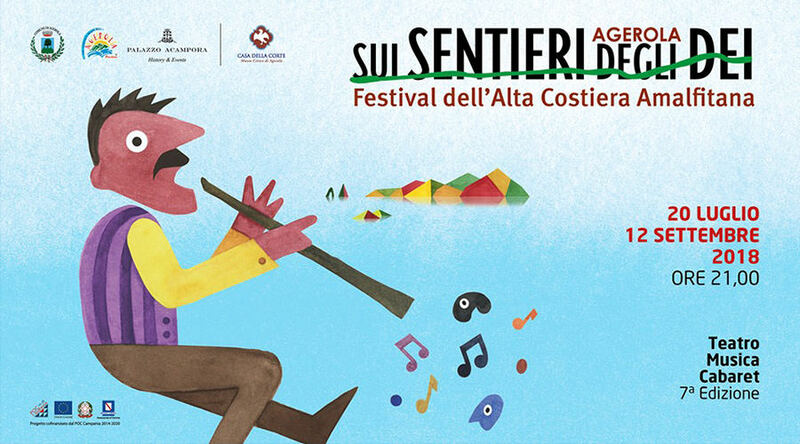 It's just started the 8th edition of the High Amalfi Coast Festival in Agerola. Also this summer there is a rich calendar of events dedicated to the memory of the composer Francesco Cilea, the journalist and writer Roberto Bracco and poet Salvatore di Giacomo. There are more than fifty events of music, theater, dance and cabaret divided into various locations including the Colonia Montana Park, just inaugurated after two years of renovation works, the San Matteo Arena, the eighteenth-century Palazzo Acampora and the most important squares of Agerola. Lots of artists played the stages of the Festival, including Nicola Piovani, Giancarlo Giannini, Michele Placido, Isa Danieli, Peppe Servillo, Massimo Ranieri, Renzo Arbore, Danilo Rea, Luis Bacalov, Roberto Vecchioni, Iaia Forte, Anna Bonaiuto, Mariano Rigillo, Vincenzo Salemme and so many others. In addition to being universally known as one of the pearls of the Amalfi Coast, Ravello is famous for the same Festival which, since 1953, every summer, it delights tourists with performances of classical music, art, cinema and literature. The artists performing at the Ravello Festival are internationally renowned such as Kronos Quartet, Teresa De Sio, Michele Placido, Luis Bacalov, Burt Bacharach and many others. The main "location" of the Festival is the stunning "Villa Rufolo" with its belvedere where, every year, the stage is mounted on the Amalfi Coast.